OVIS offers an array of items designed to save space and make life more organized. Rev-A-Shelf’s ingenious product line keeps clutter at bay in any home, office, or workshop with storage ideas that keep the “junk” out of junk drawers. Rev-A-Shelf has created a smart way to organize loose compact discs and tapes using specially designed Storage Rails that stay hidden and are easy to install. If messy file folders are the problem, clear away the clutter on tables and desktops with Rev-A-Shelf’s Two-Tier Chrome Hanging File Drawer System. This unique filing system accommodates both legal and letter-size file folders inside any standard 18” cabinet or drawer. If those hard-to-reach top shelves are going to waste, OVIS has it covered. Rev-A-Shelf’s chrome pull-down shelving system uses a gas-assisted mechanism to safely raise and lower those top-shelf items, allowing even the highest shelves to be utilized to their fullest. Inventive products like these allow anyone to store items in an organized, clutter-free way. Browse through all of OVIS' products to find the best solution for any storage or organizational problem. 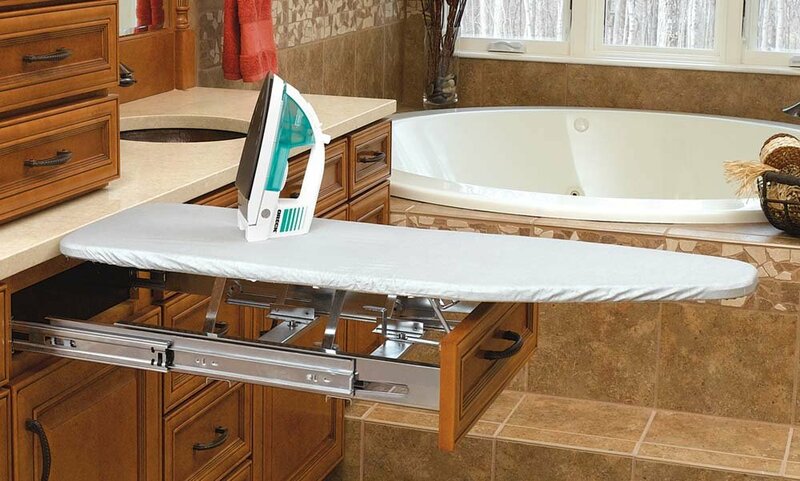 This unique pull-out Ironing Board is easily retro-fittable and folds away neatly into the space of a standard kitchen drawer. Simply pull out, unfold, and it's ready to use as the board rises automatically. 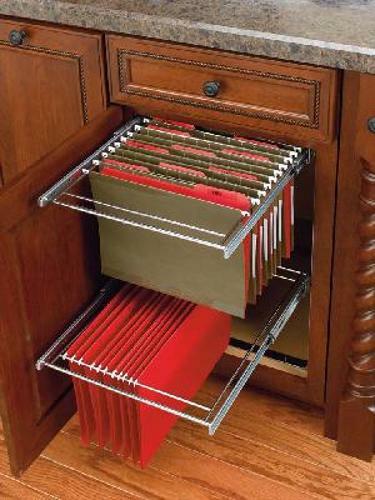 Two-Tier Chrome Hanging File Drawer System with full extention slides. Great addition to organize a kitchen desk. 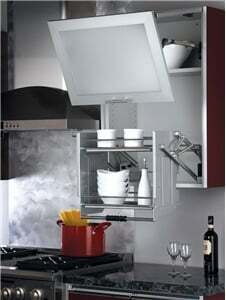 Are you looking for a way to reach those top shelves in your kitchen without using a stool? 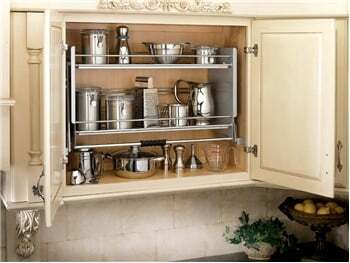 Rev-A-Shelf's chrome pull-down shelving system can bring those top shelf items to your fingertips. 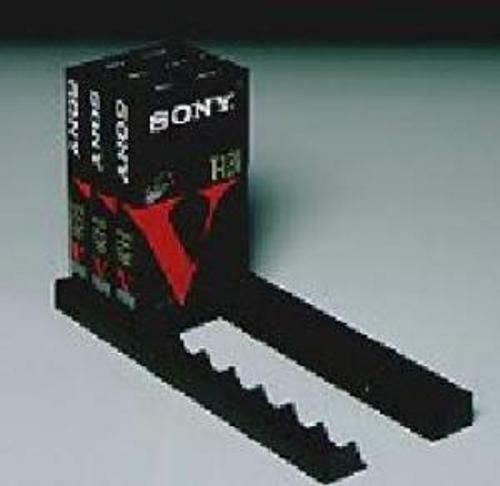 Storage Rail for VCR Tapes. 12-1/2"wide (318mm)& 1-9/16"high(40mm). Black Polystyrene. Holds 10 VCR Tapes. 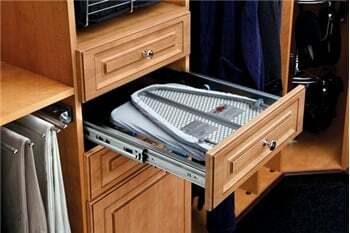 The uniquely designed Pull-Out Drawer Ironing Board expandable frame mounts easily in a closet between panels and the fixed brackets allow for easy mounting of all standard drawer fronts.